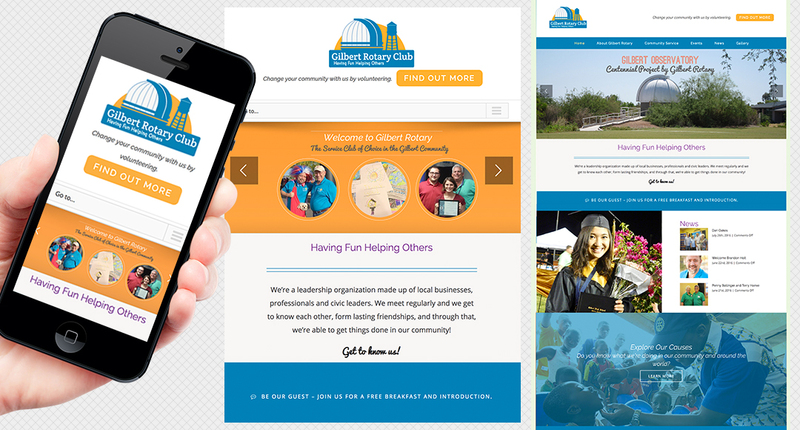 Just launched, a new website for the Gilbert Rotary Club in Gilbert, Arizona, is a fresh new look for an established club. From the logo design to the website design and development, Rosepapa Creative worked with a committee to identify the goals of the website, branding and messaging. Chris also worked closely with each person to make sure they understood each process and clearly communicated all the goals and deliverables. Most important was that the website would communicate vibrancy and relevancy to reach new people who do not know about the Rotary or have preconceived notions. Events management: Events section is integrated in the website. Through this people can sign up for an event and also send it to their online calendar. Our goals is to always deliver and we strive to go above and beyond. This is AWESOME. I am blown away by this. I think you have captured exactly what we were looking for.